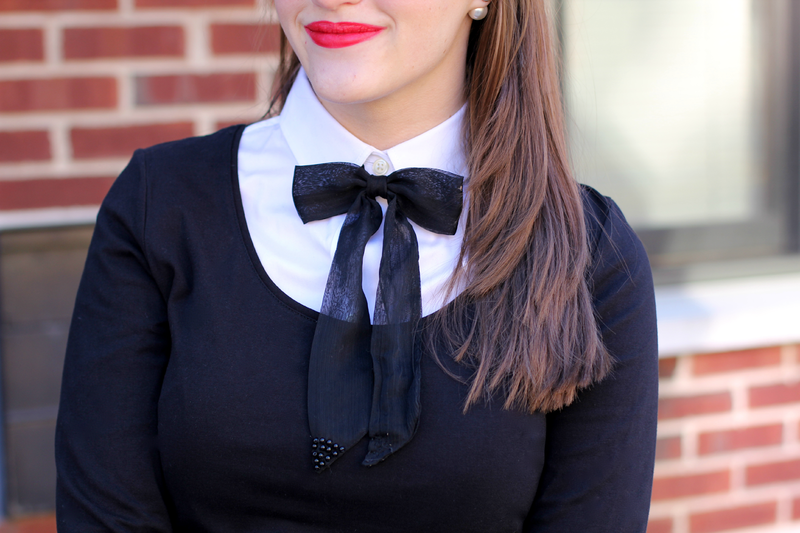 Here is my third look for the week: What to Wear to a Holiday Party. Sure it's a little different than your little red dress you always wear, but that's half the fun! I bought this sequin skirt (for well under $100) and I knew I had to try and make it work for a holiday party. I thought this outfit was a fun way to change it up and try something new. Also it's uber preppy and you know that's what I love. Always being different is a good thing. I mean, who wants to wear a blanket scarf for the rest of their life?! Even in all black, you're sure to still stand out. Just don't forget the lipstick! P.S. these tights are the bomb-dot-com, let. me. tell. you. 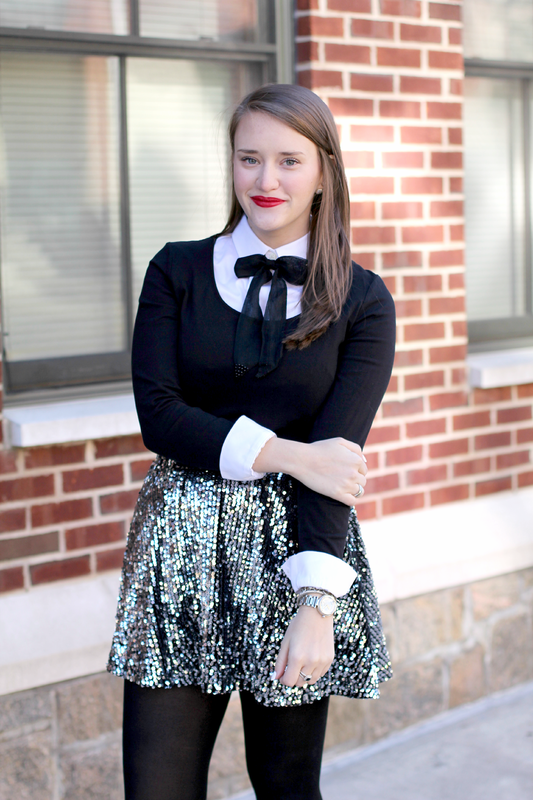 Add sequins = instant holiday feel! 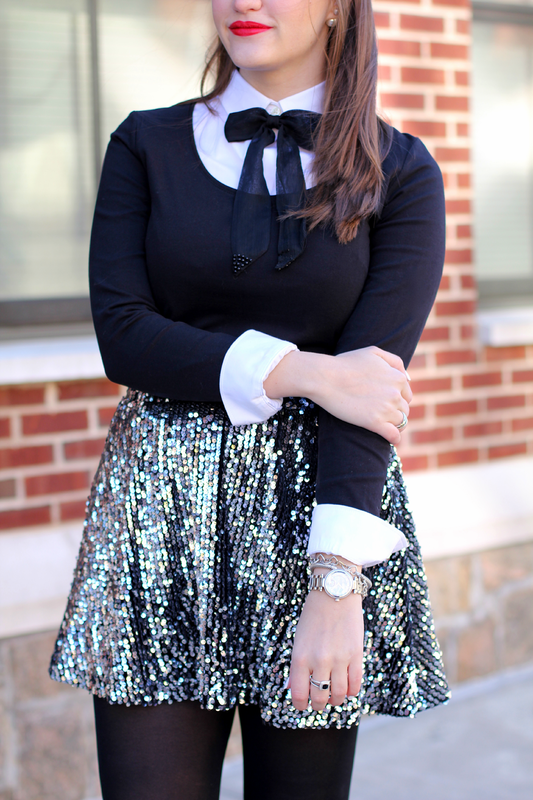 Loving the sequin skirt. You remind me so much of Blair Waldorf from Gossip Girl in this outfit.